Big box store giant Walmart is planning to buy the online retail startup Jet.com for $3 billion. Jet.com started last year as a would-be competitor to online giant Amazon. It featured a pricing model based on how much stuff one buys, as well as free two-day shipping. Below is an infographic showing how much revenue various major US retailers brought in in 2015. It’s no surprise Amazon’s estimated earnings dwarf everyone else on the list combined. In Amazon’s 20+ years of existence, they’ve grown from being a seller of books to one of the cornerstones of retail. They’ve also become one of the biggest tech companies. However, Walmart still dwarfs even Amazon when its physical outlet earnings are factored in; in 2015, the company made a whopping $482 billion. While its online presence is so-so, Walmart’s presumably hoping buying an online upstart like Jet.com (and whatever expertise it might offer) will help it gain more Internet ground. Walmart also offers similar free shipping deals as Amazon, plus has the advantages of its existing physical locations. However, while Jet.com might offer some expertise, it never really gained any traction. One factor against Walmart’s online hopes is that Amazon not only sells the same variety of stuff, it also has its own electronics and streaming media divisions. Amazon Echo, Fire TV, Amazon Prime Video, and more all are also major parts of Amazon’s business. People who don’t order much from Amazon (outside of birthdays and holidays) might still pay for a Fire TV box and Amazon Prime for video and music. Walmart does have Vudu, but it’s a digital video store. Thus, it’s more similar to rivals iTunes and Google Play, or even Amazon Prime’s digital video store. Did you ever make use of Jet.com, or order anything online from Walmart? I really like that bar chart. And wow, Walmart made $482 billion. Yipes. I never shop at Wal-Mart. I don’t have any nearby me. Plus, their CEO makes $19 million/year. I try to not shop at any company whose CEO makes more than $10 million/year. I’m not too fond of Walmart either. Besides that Seattle doesn’t seem to have any (within city limits), I usually do big-box store shopping at Target or Fred Meyer (the latter a regional big-box chain owned by supermarket giant Kroger). 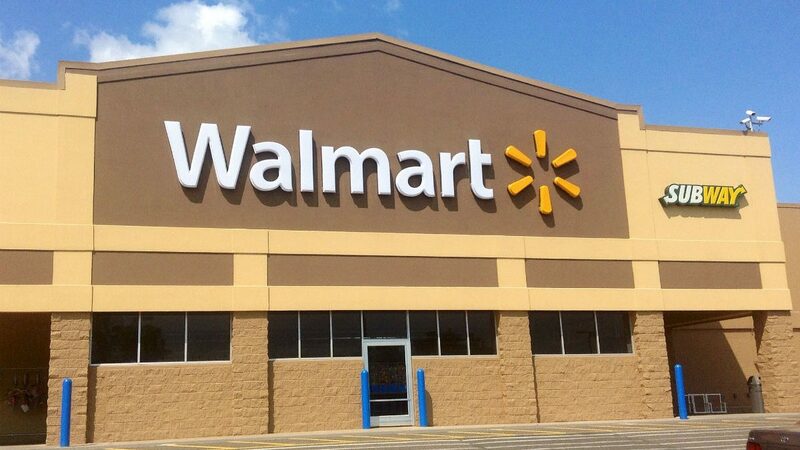 Yeah I had no idea Walmart was SO huge.